Nicola Tesla symbolizes a unifying force and inspiration for all nations in the name of peace and science. New York State and many other states in the USA proclaimed July 10, Tesla’s birthday – Nikola Tesla Day. The street sign “Nikola Tesla Corner” was recently placed on the corner of the 40th Street and 6th Avenue in Manhattan. There is a large photo of Tesla in the Statue of Liberty Museum. The Liberty Science Centre in Jersey City, New Jersey has a daily science demonstration of the Tesla Coil creating a million volts of electricity before the spectators eyes. His father Milutin tesla was a Servian Orthodox Priest and his mother Djuka Mandic was an inventor in her own right of household appliances. At first, he intended to specialize in physics and mathematics, but soon he became fascinated with electricity. He began his career as an electrical engineer with a telephone company in Budapest in 1881. Tesla was walking with a friend through the city park that the elusive solution to the rotating magnetic field flashed through his mind. Tesla accepted an offer to work for Thomas Edison in New York. Tesla spent the next 59 years of his productive life living in New York. Tesla pointed out the inefficiency of Edison’s direct current electrical powerhouses that have been build up and down the Atlantic seaboard. The secret, he felt, lay in the use of alternating current, because to him all energies were cyclic. Nikola Tesla developed polyphase alternating current system of generators, motors and transformers and held 40 basic U.S. patents on the system, which George Westinghouse bought, determined to supply America with the Tesla system. Tesla Westinghouse ultimately emerged the victor because AC was a superior technology. Tesla introduced his motors and electrical systems in a classic paper, “A New System of Alternating Current Motors and Transformers” which he delivered before the American Institute of Electrical Engineers in 1888. Tesla had constructed a model polyphase system consisting of an alternating current dynamo, step-up and down transformers and A.C. motor at the other end. In February 1882, Tesla discovered the rotating magnetic field, a fundamental principle in physics and the basic of nearly all devices that use alternating current. Tesla brilliantly adapted the principle of rotating magnetic field for the construction of alternating current induction motor and the polyphase system for the generation, transmission, distribution and use of electrical power. Tesla’s A.C. induction motor is widely used throughout the world in industry and household appliances. Electricity today is generated transmitted and converted to mechanical power by means of his inventions. Tesla’s greatest achievement is his polyphase alternating current system, which is today lighting the entire globe. Tesla astonished the world by demonstrating, the wonders of alternating current electricity at the World Columbian Exposition I Chicago in 1893. Alternating current became standard power in the 20th Century. He designed the first hydroelectric powerplant in Niagara Falls in 1895, which was the final victory of alternating current. The achievement was covered widely in the world press, and tesla was praised as a hero world wide. Tesla was a pioneer in many fields. The Tesla coil, which he invented in 1891, is widely used today in radio and television sets and other electronic equipment. That year also marked the date of Tesla’s United States Citizenship. 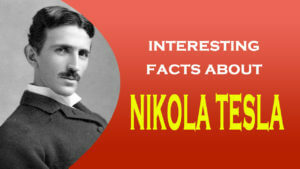 His alternating current induction motor is considered one of the ten greatest discoveries of all time. Among his discoveries are the fluorescent light, laser beam, wireless communications, wireless transmissions of electrical energy, remote control, robotics, Tesla’s turbines and vertical take off aircraft. Tesla is the father of the radio and the modern electrical transmissions systems. He registered over 700 patents worldwide. His vision included exploration of solar energy and the power of the sea. He foresaw interplanetary communications and satellites. The Country Magazine published Tesla’s principles of telegraphy without wires, popularizing scientific lectures given before Franklin Institute in February, 1893. The Electrical Review in 1896 published X- rays of a man, made by Tesla, with X- ray tubes of his own design. Tesla never attempted to proclaim priority. Roentgen congratulated Tesla on his sophisticated X-ray pictures, and Tesla even wrote Roentgen’s name on one of his films. Tesla’s countless experiments included work on a carbon button lamp, on the power of electrical resonance, and on various types of lightining. Tesla invented the special vaccum tube which emitted light to be used in photography. Nikola Tesla patented the basic system of radio in 1896. His publishe schematic diagrams describing all the basic elements of the radio transmitter which was later used by Marconi. In 1896 Tesla constructed an instrument to receive radio waves. He experimented with this device and transmitted radio waves from his laboratory on South 5th Avenue, to the Gerlach Hotel at 27th Street in Manhattan. The heart of radio transmission is based upon four tuned circuits for transmitting and receiving. It is Tesla’s original concept demonstrated in his famous lecture at the Franklin Institute in Philadelphia in 1893. The four circuits, used in two pairs, are still a fundamental part of all radio and television equipment. The United States Supreme Court, in 1943 held Marconi’s most important patent invalid, recognizing Tesla’s more significant contribution as the inventor of radio technology. When the Colorado Springs Tesla Coil magnifying transmitter was energized, it created sparks 30 feet long. From Colorado Laboratory, Tesla generated and sent out wireless waves which mediated energy, without wires for miles. Tesla made his most important discovery- terrestrial stationary waves. He also lighted 200 lamps without wires from a distance of 25 miles and created man-made lightning. At one time he was certain he had received signals from another planet in his Colorado laboratory, a claim that was met with disbelief in some scientific journals. The old Waldorf Astoria was the residence of Nikola Tesla for many years. He lived there when he was at the height of financial and intellectual power. Tesla built the Wardenclyffe laboratory and its famous transmitting tower in Shoreham, Long Island between 1901 and 1905. Tesla’s concept of wireless electricity was used to power ocean liners, destroy warships, run industry and transportation and send communications instantaneously all over the globe. To stimulate the public’s imagination, Tesla suggested that this wireless power could even be used for interplanetary communications. If Teslas were confident to reach Mars, how much less difficult to reach Paris. Many newspapers and periodicals interviewed Tesla and described his new system for supplying wireless power to run all of the earth’s industry. Nikola Tesla was one of the most celebrated personalities in the American press, in this century. According to Life Magazine’s special issue of September, 1997, Tesla is among the 100 most famous people of the last 1000 years. He is one of the great men who divert the stream of human history. Tesla’s celebrity was in its height at the turn of the century. His discoveries, inventions and vision had widespread acceptance by the public, the scientific community and American press. Tesla’s discoveries had extensive coverage in the scientific journals, the daily and weekly press as well as in the ‘foremost literary and intellectual publications of the day. Tesla wrote many autobiographical articles for the prominent journal Electrical Experimenter, collected in the book, My Inventions. He was able to fully construct, develop and perfect his inventions completely in his mind before committing them to paper. A lifelong bachelor he led a somewhat isolated existence, devoting his full energies to science. In 1894, he was given honorary doctoral degrees by Columbia and Yale University and the Elliot Cresson medal by the Franklin Institute. In 1934, the city of Philadelphia awarded him the John scott medal for his polyphase power system. He was an honorary member of the National Electric light Association for the Advancement of Science. In 1915, a New York Times article announced that Tesla and Edison were to share the Nobel Prize for physics. Tesla died on January 7th, 1943 in the Hotel New Yorker, where he had lived for the last ten years of his life.